Spike Mendelsohn’s place on Capitol Hill has my favorite pizza. 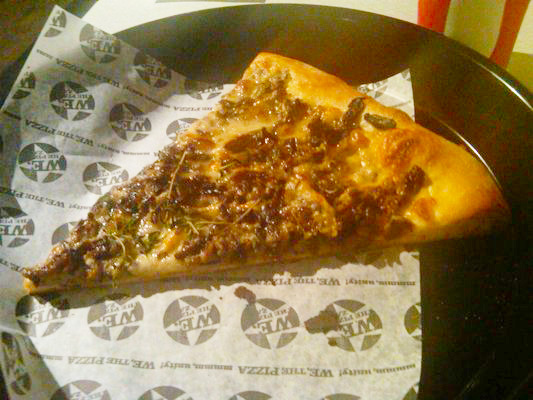 At We The Pizza order the Forest Shroomin’ Pie. It has a mixture of mushrooms that include truffles, yes truffles. They are piled on top of the crisp, thin crust, creamy mozzarella and thyme which brings out the flavors of the mushrooms. Delish!